Raspberry Pi+ LoRa(TM) Expansion Board with HopeRF LoRa(TM) radio module(s) installed. Supplied with suitable header and standoffs, SMA and purchased modules installed. 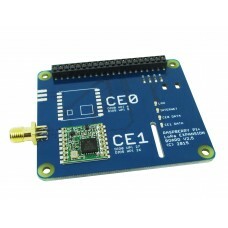 First module purchased will be installed in the CE1 slot, the second in the CE0 slot. 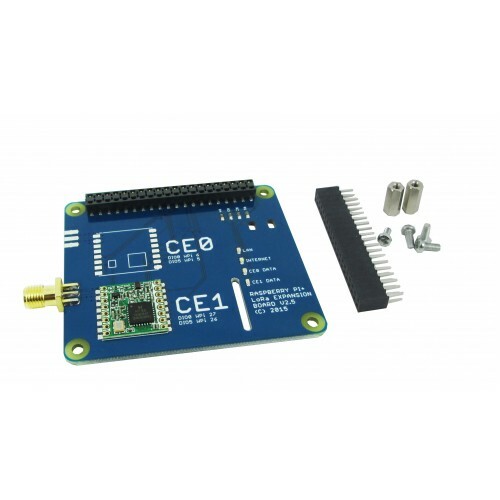 If you plan to use this board in conjunction with the Pi In THe Sky system only modules in CE1 are supported. The board has LED's for internet, network and CE0/1 data. Supplied with a 2x20 way 4.93mm header and 2 standoffs for secure attachement to your Pi. 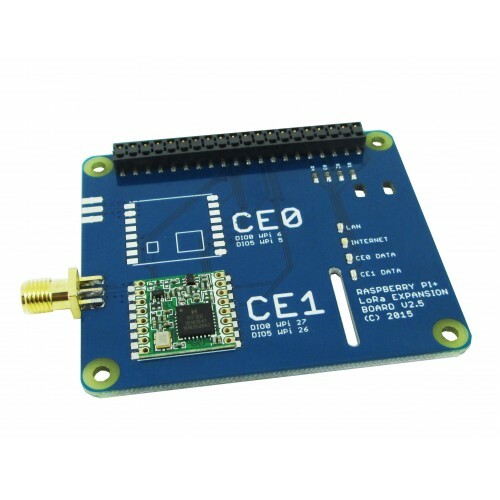 Please see associated items for suitable antennas, stacking header kits and Raspberry Pi's.